In case there was any doubt that the import tariffs Trump wants to impose would be bad for the United States’ automobile industry, it will. How do we know? 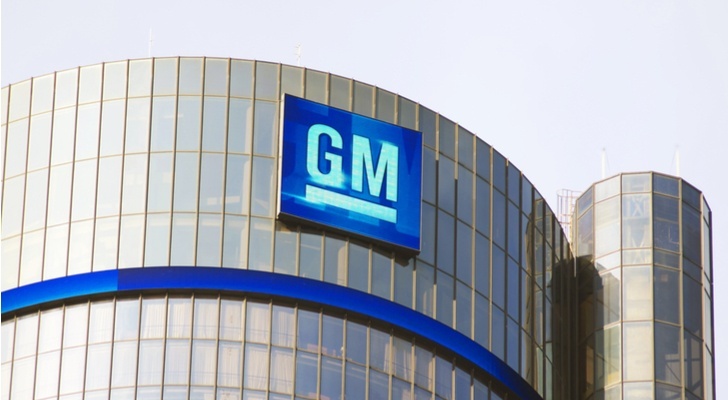 General Motors Company (NYSE:GM) just said so, send GM stock down nearly 3% on Friday, with the downtrend continuing as this week began. Of course, consider the source. Anything that merely poses the threat of higher input costs or just might crimp demand as billed as a tragic turn of events. Just for the sake of intellectual honesty though, the proposed and now-enacted tariffs aren’t really about tariffs, nor would they up-end General Motors if they were. They’re a negotiating tactic, and even if they remain in place for a while, they may well force carmakers to lean on U.S. suppliers of materials and components. That could actually help create demand within the all-important North American market. There’s no mixed message about GM stock there. And to be fair, there’s enough legitimacy to the arguments. The arguments, however, don’t see the bigger picture. Wednesday’s public comments from the Alliance of Automobile Manufacturers noted that the impending tariffs on imports could “invite retaliatory action by our trading partners.” Fair enough. But, they ignore the reality that many of our trading partners (and our biggest, China) already impose steep tariffs on goods sent there. Specifically, U.S. carmakers pay an extra 15% of a vehicle’s value for the right to ship to, and sell it in, China. Until May, that tariff was costing U.S. automakers an extra 25% of those vehicles’ values. It’s a not-so-minor detail that underscores what President Donald Trump is trying to do with his seemingly antagonistic measures that ultimately aim to benefit U.S. companies. He’s making it exceedingly clear that the nation’s trade partners won’t be able to impose their own import tariffs on U.S. goods simply because they can (and simply because we can afford to pay them). But a reckless endeavor all the same, risking a ripple effect so strong that not even the United States’ companies shrug it off? Granted, he’s the Director of the United States National Economic Council, and as such has to maintain at least some sort of prima facie support of the White House. Of all the experts and advisers surrounding the President, however, he’s one of the few who has no political career to protect. He could always move back into the expert-commentator role, and make considerably more money in doing so. In other words, Kudlow’s assessment holds water. It’s just that, in a politically-charged environment like the one we’re living in now, few people want to look, think and see beyond the headlines. Critics of the premise will point to the fact that China has already made arrangements with suppliers of much-needed goods… goods that used to be supplied by U.S. outfits, but have become too expensive to sell to China. Case in point? Soybeans, for one. A new 25% tariff put in place on soybeans delivered from the United States to China has essentially stymied all purchases of the U.S. supply. Ergo, China has altogether eliminated the previous soybean tariff of 3% for suppliers India, South Korea, Bangladesh, Laos and Sri Lanka. Russia’s enjoying it’s added soybean business too. Take a closer look at the situation though. First, there simply may not be enough soybean supply without the U.S. being in the picture to not buy U.S. soybeans. And second, indirectly enriching India, South Korea, Bangladesh, Laos and Sri Lanka also means those emerging markets will further empower those consumers who may just buy a GM car. In the meantime, if the Unites States auto industry is forced to buy parts from domestic sources rather than from foreign sources, it just might help boost much-needed domestic demand from increasingly empowered U.S. consumers who enjoy their higher-paying jobs making those very parts. So, no, it’s not a reason to sell your GM stock. General Motors is doing what any other company would do, making noise as a means of keeping its costs as low as possible without disrupting its revenue stream any more than it has to. Whatever the case, in the end, domestic companies find a way. Consumers find a way. Foreign companies find a way. Capitalism finds a way. If GM was willing to, it could take a step back and see that last year’s $566 billion trade deficit — meaning the United States bought $566 billion more worth of goods from overseas providers than they bought from us — is actually an opportunity rather than a necessity. It’s just going to be ugly going through the process of redirecting that flow of money through the more advantageous channels. Or, better yet, our foreign trade partners could recognize that Trump is serious and stop forcing the United States to subsidize the rest of the world on their terms. Article printed from InvestorPlace Media, https://investorplace.com/2018/07/gm-stock-bite-tariffs/.